Google +1 is a for making your friends aware of your liking content. It is more or less a facebook like a button. It will affect the search engine rankings. so Please give it try to your blog or website. Google +1 is not that much popular, by adding this, we will see traffic increase due to the fact that if someone clicked on +1, their friends see it on google. 2.the code plusone code can be placed wherever you want the required +1 button. 1. 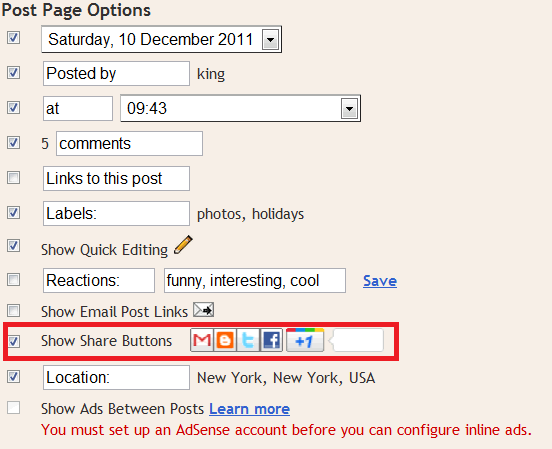 Go to Design link on your manage blogs in your blogger home page. After the user adding the +1 button, the posts are visible in user google profile feed.Please let us know if you have any questions.